Once again the General Motors board of directors -- chosen mainly by its No. 1 shareholder, the U.S. government -- is exerting its power and responsibility. Last week the board announced the resignation of CEO Fritz Henderson, a lifelong GM finance executive who rose to the top after the government fired Rick Wagoner. Make no mistake: Fritz Henderson was the right guy for the time. He did a masterful job guiding GM through what could have been a tumultuous journey in bankruptcy. Everything he had ever learned had to be put into play during those days leading up to and after the filing. But the board grew impatient with his efforts. We'll learn more about it as time goes on. Meanwhile, a job notice hangs outside the GM building for not only a CEO but also a CFO, if you believe reports that Ray Young is next to go. Let's hope the pay czar in Washington gives GM some latitude on compensation. The GM board is looking for results. It wants results today, not in 2011 or 2012. Whether that's possible remains to be seen. But right now, that board is in the driver's seat. It seems inevitable that there will be more changes for GM's management team. It is impossible to change the culture in any large company just by replacing the CEO. So we shouldn't be surprised over the next few weeks and months to see a lot of new faces at GM. The board has to realize that you can't turn around a manufacturing company the size of GM on a dime. Like it or not, it takes a long time to change the product portfolio of a giant automobile company -- and not always for the better. Over the past several years, GM has laid out a course. As those new vehicles come to market, dealers almost instantaneously will provide feedback. You can't simply will the changes to happen. The board members have to understand that this all takes time. The future is carved many months ahead, and you can't change or undo the results for many years. 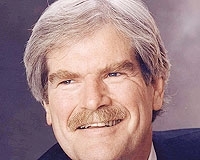 Fritz Henderson was a great financial executive his entire career. It's too bad GM couldn't have hired him this week for the CFO's job. There could be none better.